Display/hide transaction text messages on screen and on playback. Use pre-defined transaction action code to search. Word matching search is supported also. 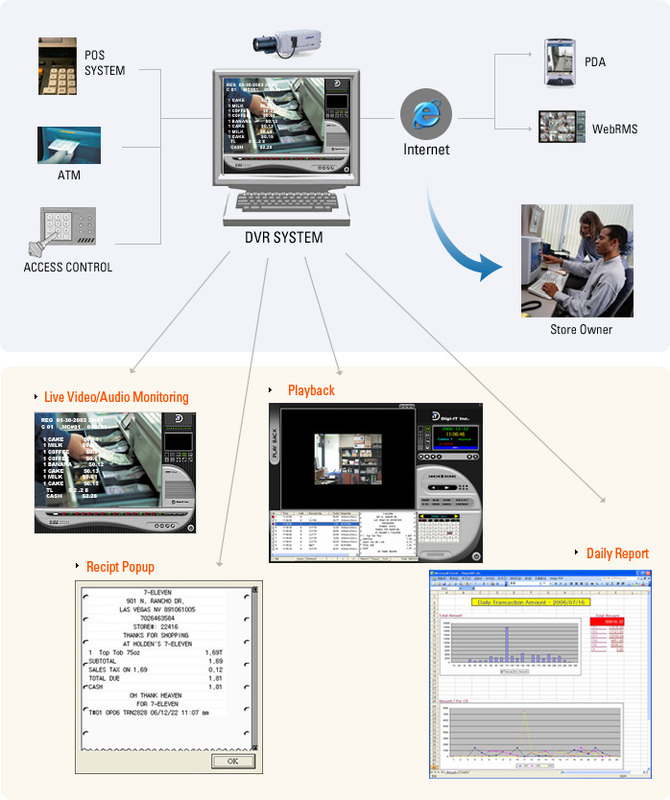 Up to 16 POS can be connected with DVR System, Using Serial Communication or TCP/IP Connection. Auto-recoding feature on transaction start. Daily transaction count Report and Daily Sales Amount Report provided. Set Event Action associated with action code. When pre-defined action code occur in transaction the system will Beep, or change text color, or save video clip etc.